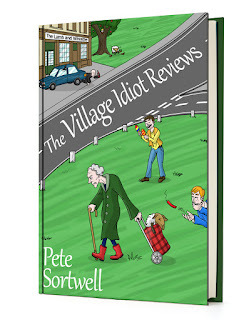 Well, staggering down Brit Grit Alley this week, I stumbled into Pete Sortwell, who has just published the comic ebook The Village Idiot Reviews. 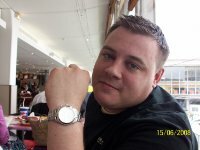 Pete Sortwell is 32 and lives in Northamptonshire with his wife, Lucie. He's been writing for just over two years. He was first published in one of Byker Books' legendary Radgepacket anthologies and has since been featured in a various other anthologies. His debut Novel, 'So Low, So High', will be published in 2013 by Caffeine Nights and is the first in a trilogy. 'Die Happy, Die Smiling' being the second and 'Start Something' being third. PDB: Can you pitch THE VILLAGE IDIOT REVIEWS in 25 words or less? I think it is, yeah. Although I’m a writer so I would say that. Yes, I’ll be starting writing screen plays in the New Year. I think I might even have a pretty well-known 'youtuber' to partner with on it. I’m looking forward to it although I think it’s going to be a higher mountain to climb that writing a novel has been. Watch this space. I won’t be giving up though. So hopefully, one day, something that I’ve written will be on TV. I was going to say ‘very little’ but once I’d thought about it I don’t think a novel could be written with no or little research. I know for ‘So Low, So High’ I had to speak to a lot of people who were like the main character, who lived a life like he did. I had to listen an awful lot to people’s stories and observe the way people spoke about bad things in a light way. That was the easy bit, all I had to do was listen. I found researching how to structure it harder. Although I worked with an editor and proof reader who helped out no end, however finding a decent one that wasn’t going to rip me off or do my head in took some research too. 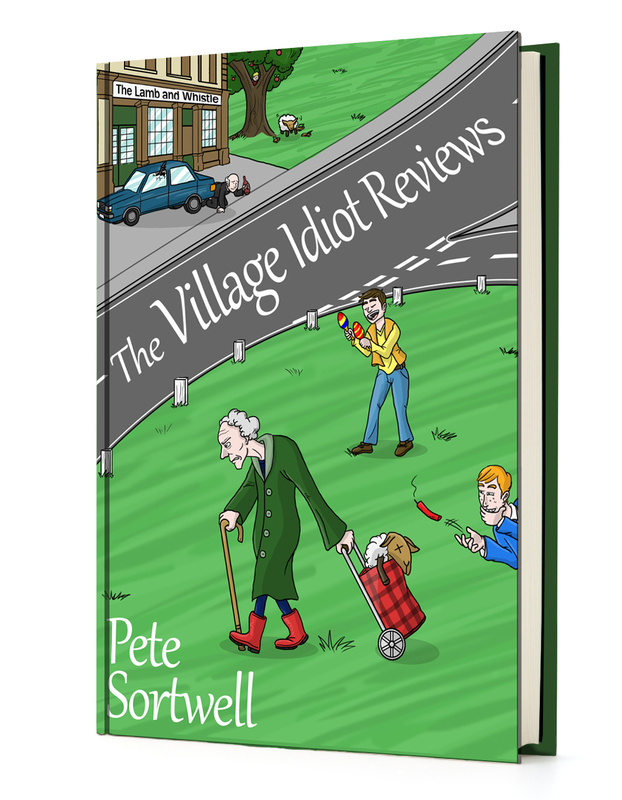 For The Village Idiot Reviews, I suppose it was a life time of ‘I should have said that’ moments or little things I saw and thought were funny, I could put that down as research. I’ve got two more Idiot books to write, and a third novel to finish. Although I’m not sure I’ll get them all done. I’ll have a good go, though. I’m trying like that.